The Pittsburgh Business Times’ Healthiest Employers Wellness Expo is on June 8th at the Westin Convention Center Hotel, 1000 Penn Avenue from 10:30 a.m. to 12:30 p.m. Come visit the Caregiver Champion/Liken Home Care booth. We’ll be in the Allegheny Grand Ballroom Foyer on the 3rd floor. The expo is FREE to attend. Click Here to register. Six out of 10 family caregivers are employed, and that number is continuing to rise. 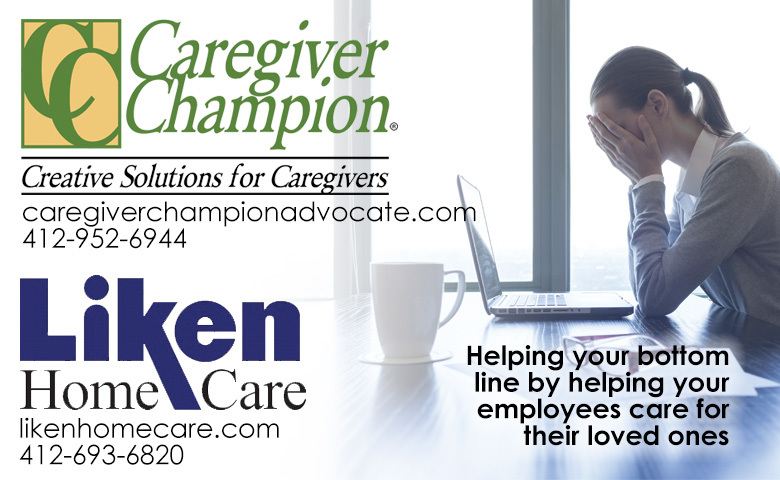 Companies providing support services to to their working caregivers help their own bottom line. It reduces absenteeism and increases productivity. Click here to more about how we help companies keep their employees healthier and happier.